What is LDN and why is it drawing the attention of medical professionals? In 2008, ABC Action News in Philadelphia ran a special about a relatively new medication under the intriguing if not sensationalized title “Wonder Drug?” The ‘wonder drug’ in question was low dose naltrexone, or LDN, and the report was certainly not the first of its kind. 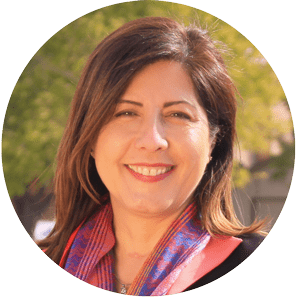 Since then, hundreds of articles and research papers extolling the benefits of low dose naltrexone have been written, including Amazon’s best-selling The LDN Book compiled by Linda Elsegood in 2016. But what is LDN and why is it drawing the attention of medical professionals and media alike? In 1984, the FDA approved the 50mg dose of naltrexone for use in treating heroin and opioid addiction. But some researchers, including Dr. Bernard Bihari of New York City, were more interested in the effects of naltrexone at about 1/10th that strength. Realizing that low doses of naltrexone could help regulate the immune system, Dr. Bihari switched his focus from addiction to AIDS and in 1985 conducted a nine-month long, double-blind study examining the effects of LDN in AIDS patients. The results were significant. Patients given LDN experienced fewer deaths, less major opportunistic infections, and fewer drops in T-helper cells (those normally most affected by HIV) than patients who were given a placebo. Dr. Bihari and his colleagues were excited by the outcome as well as struck by the potential broader applications of LDN. New studies are being continually conducted as researchers delve deeper into its mechanism of action and possible applications in the medical field. A person’s immune system is regulated almost entirely by endorphins, which are released naturally every day. Naltrexone is an opiate receptor antagonist, which means that it blocks the body’s opioid/narcotic receptors – the same receptors endorphins use. Naltrexone thus causes the body to produce more endorphins, which in turn boosts the body’s immune function. While the typical 50mg dose of naltrexone blocks the opioid receptors for an extended period of time, low dose naltrexone only blocks the receptors for a few hours, still causing the desired effect of increased endorphins, but dissipating quickly enough for the body to reap the benefits. What conditions may LDN treat? Because LDN works by improving immune function, research is being poured into its effect on a wide variety of ailments. So far, however, clinical evidence of efficacy is only present for fibromyalgia, Crohn’s disease, multiple sclerosis, and complex regional pain syndrome. Pre-clinical studies and patient and doctor testimonials have also accredited LDN with helping treat rheumatoid arthritis, transverse myelitis, irritable bowel syndrome, various cancers, Alzheimer’s disease, Parkinson’s disease, ALS, autism, and post-traumatic stress disorder, to name a few. Clinical studies have yet to catch up to these anecdotal claims. What forms of LDN are available? Low dose naltrexone can be compounded into a number of different forms, including capsules, troches, oral solutions and creams. The specific purpose for which LDN is being prescribed will determine the best dosage form. What is the typical LDN dosing? In published research, the typical dosage of LDN is 4.5mg, usually taken about an hour before bedtime. Prescribers may opt to start a patient on 0.5mg to 1.5mg of naltrexone daily and taper up by 0.5mg as tolerated by the patient. That being said, dosage-finding experiments have been limited and individuals will vary in body mass, metabolism, opioid receptor sensitivity, and sensitivity to LDN. Ideally, providers will prescribe LDN on a patient-by-patient basis. Where can I get LDN? Because naltrexone is only commercially available as a 50mg tablet, prescriptions for low dose naltrexone must be taken to a compounding pharmacy and specially prepared. What are the side effects of LDN? One of the reasons LDN is so exciting is its seeming lack of major side effects. The most common reported side effect is vivid dreams (reported in 37% of patients), though those dreams do not necessarily cause sleep disruption and decrease over time. In rare cases, headaches are also reported as a possible side effect; tapering up to the desired dose may alleviate this. Is there anything else I should know about LDN? While many claims surround LDN, it’s important not to label anything a wonder drug. Remember that low dose naltrexone is still in the early stages of research and is not yet an FDA-approved drug for the treatment of any medical condition. It’s important to have frank discussions with your provider or pharmacist before taking LDN. Where can I get more information about LDN? One great source is a non-profit called the LDN Research Trust (https://ldnresearchtrust.org/). This is a group of healthcare providers and researchers from all over the world working together to find the best dosages and uses for LDN. 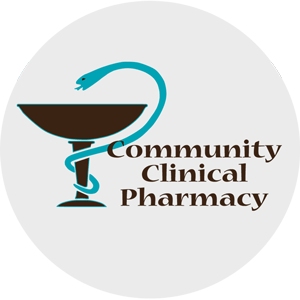 Whether you have questions regarding Low Dose Naltrexone, or alternative treatments for fibromyalgia, Crohn’s disease, multiple sclerosis, and complex regional pain syndrome; our experts at Community Clinical Pharmacy are here to provide you with the information you need. We help individuals find the right fit for your needs, with alternatives & custom compounded medications not available at commercial pharmacies like CVS or Walgreens. We are here to help and have decades of success within the Arizona Community. Contact us with comments, questions, or pharmacy related topics you’d like to know more about. And, as always, stay healthy!